Often candidates for the fire and rescue services do not comply with requirements laid down in enrolment rules. The reasons why a large proportion of candidates are not selected for the fire and rescue services are different, but constant for years – insufficient physical fitness, health conditions and poor education. 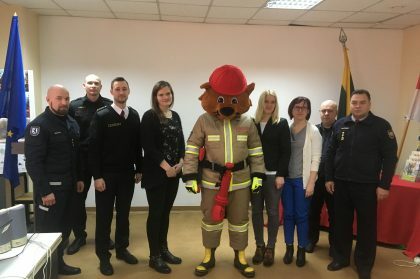 The project aims to improve efficiency of fire and rescue services in Zemgale and Šiauliai cross border regions by improving infrastructure for physical training for fire fighters and rescuers, strengthening capacity of fire fighters and rescuers and ensuring cross border cooperation in emergency situations. Training base for fire fighters and rescuers will be improved as well as equipment in Jelgava and Šiauliai. Sports stadium in Jelgava will be reconstructed and equipped with sports tower for needs of fire and rescue service professionals, two sports gyms will be renovated and equipped with training equipment and sporting equipment. Prefabricated mobile tower and equipment for the firefighting sports will be purchased. 2) Physical fitness and knowledge of fire and rescue services professionals will be boosted by organizing of cross border “Fire fighter combat challenge” competitions for fire and rescue services (150 participants of each competition); trainings for Cross Fit trainers “Train the trainer” (4 participants will attend trainings); training activity – competition among professionals of fire and rescue services (40 participants); team building activity for professionals of fire and rescue services (40 participants); training camp for fire fighters (30 participants); Awareness on fire and rescue service workers profession and physical activities among school children and youth will be raised by organizingtwo international camps for children “Learn to be strong!”; four informative and educational events and visits to schools; and by preparing video about fire and rescue services and sporty lifestyle. Cross border experience exchange and capacity building activities will facilitate to find different solutions. For the first time cross Fit trainings for fire and rescue services will be organized and voluntary firefighting work will be promoted. .
Work efficiency of fire and rescue workers by strengthening physical and knowledge capacity will be improved as well as cooperation between institution of rescue services. Project will try to raise awareness of profession of fire and rescue service workers and and to change attitude of school children and youth about firefighting sports and healthy lifestyle. Project working group meeting in Siauliai. On January 30, 2019, partners of the project “Improvement of Physical Capacity of Technical Base and Operational Services Specialists in the All-Safety Area of ​​Latvia and Lithuania” met in the first working group meeting held in Siauliai to discuss the progress of project implementation and specify future action plan. At the beginning of the meeting, project partners reported on their progress during the first project implementation period (01.07.2018 – 31.12.2018) and specified deadlines for implementation of delayed project activities. Following the meeting, partners discussed planned activities and further actions to take during the next project implementation period (01.01.2019 – 30.06.2019). Closing the meeting, partners attended Fire and Rescue Department in Siauliai, where professional competitions of firefighters and outdoor fitness training for improvement of physical capacity are organized. It was a great opportunity for area professionals as well, to exchange experience in organizing and hosting such big international events. During the first project implementation period, reconstruction and improvement of infrastructure of sports stadium in Jelgava has started. It is planned that reconstruction works are finished by August 2019, responsible partner – Jelgava City Council. In addition, two sports halls will have its renovation for the needs of fire and rescue service specialists in Jelgava and Šiauliai. Renovation works include cosmetic repair of the halls and purchase of modern sports equipment, including exercise equipment. Currently corresponding procurement procedure has started to implement mentioned activities. Responsible partners for – the State Fire and Rescue Service of Latvia and Fire and Rescue Department of Lithuania (former Siauliai County Fire and Rescue Board). Currenlty project partners also work on preparation of planned professional competitions and educational events planned within the project, that aims to increase the physical capacity of professionals of operational services and promote the recognition of operational service profession among the local community. Project objective: to improve efficiency of operational rescue services in Zemgale and Siauliai border regions trough improvement of infrastructure and strengthening capacity of its specialists to ensure cross border cooperation in emergency situations. Project partners: Jelgava City Council (Lead partner), State Fire and Rescue Board of Latvia (PP2), Fire and Rescue Department of Lithuania (PP4) (former Siauliai County Fire and Rescue Board (PP3)). Total budget of the project: 564 290, 38 EUR, where EUR 479 646.82 (85%) is European Regional Fund funding and EUR 84 643, 56 EUR (15%) is National co-financing source (the state budget grant and partner contribution). Project budget for Jelgava Municipality: 258 784, 64 EUR, where EUR 219,967.25 is European Regional Fund funding and 38,817, 39 EUR (15%) is National co-financing source (the state budget grant and partner contribution). During the project implementation period from July 30, 2018 until June 30, 2020, reconstruction and improvement of infrastructure of Jelgava sports stadium will be carried out, making it as multifunctional outdoor training base where professionals of operational rescue services will be able to improve their physical capacity and develop skills that are needed for rapid intervention in emergencies. The stadium will be equipped with professional training tower as well. The tower will provide possibilities to train skills needed in fire fighters work in particular – suppressing of fire, a speed of human rescue, handling heavy objects and others. In addition, Siauliai County Fire and Rescue Service will acquire such professional training tower as well, so that to improve professional competences and strengthen physical capacity of its professionals. Taking into account advanced sports stadium infrastructure, the stadium plans being a venue of different professional fire fighters competitions, trainings and professional workouts. According to project schedule the stadium will be reconstructed by August 2019. 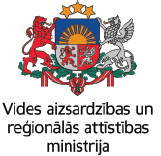 Works will be carried out within Interreg V-A Latvia-Lithuania programme 2014-2020 project No LLI-372 “Improvement of technical basis and physical capacity of responsible professionals in operational services in the border region of Latvia and Lithuania”. The project aims to increase efficiency of operational rescue services in Zemgale and Siauliai border regions trough improvement of infrastructure and strengthening capacity of its specialists to ensure cross border cooperation in emergencies. Total budget of the project is 564 290.38 EUR, including 479 646.82 EUR European Regional Development Funds. The project also ensures a reconstruction of two sports halls in Jelgava and Siauliai for the needs of operational rescue service professionals. The sports halls will have its cosmetic repairs and be equipped with modern professional training devices. While professional training sessions and operational rescue service competitions, team-building activities organized within the project aims to rise cross border cooperation between Latvia and Lithuania border areas to decrease consequences caused by emergencies, as well as enrich professional knowledge and competences of operational rescue services professionals. In order to raise awareness and promote operational rescue service and fire fighter profession among children and youth a variety of educational events with demonstrations plan to be organized within the project, including two summer camps in Jelgava and Siauliai for children who are train in fire sports. In camps, children will be able to learn more on operational rescue service work, introduce what knowledge and competences it requires, as well as strengthen their physical fitness level and see rescue service work in action. In a result of cross border cooperation, relevant infrastructure and adequate technical resources will be ensured for operational rescue service professionals in Jelgava and Siauliai, strengthened physical capacity and enriched professional knowledge and competences of its specialists and raised awareness about fire and operational rescue services profession among children and youth. Jelgava City Council as the Lead Partner, Siauliai County Fire and Rescue Service and State Fire and Rescue Service of Latvia have already launched successful cooperation towards efficiency of operational rescue services and professional development of its specialists in previous Latvia-Lithuania cross border programme 2007-2013. 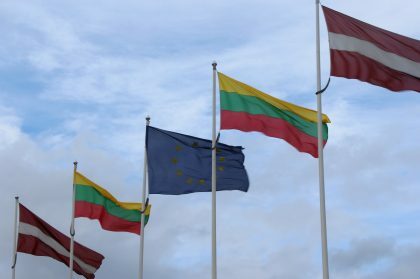 Continuing established partnership it is relevant to improve efficiency of operational rescue services in Latvia and Lithuania border regions trough improvement of infrastructure and strengthening capacity of its specialists to ensure cross border cooperation in emergencies.